Think of travel and leisurely getaways mostly come to mind. For Renata Provenzano, though, time by the ocean was a necessity after a 2015 fire in Australia impacted her family farm. In this reprinted article from Spirit Travels, Renata shares what it was like settling into a hotel and trying to recapture "normal" life. “I really like the park views,” Allison says as she checks on my room. 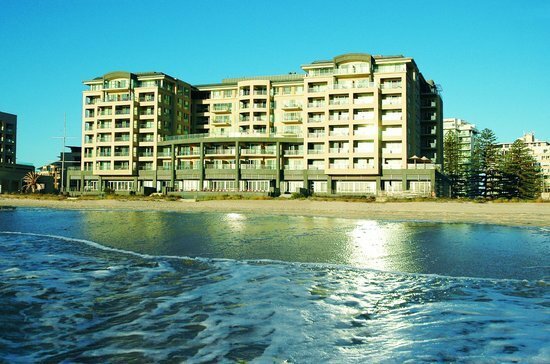 While for most people finding a sanctuary getaway usually means a cocoon far from a bustling capital city, after the bushfire on our farm in December, I stumbled on the OAKS self-contained apartments in Glenelg, one of Adelaide’s most popular seaside suburbs. It offers a stark contrast to the dried out Murray Mallee, parched for rain with dry lightning storms, an excruciatingly hot summer and extreme winds we have never experienced this time of year. In Glenelg the salty ocean breeze means the air doesn’t feel as dry and it even rains against the windows on my second night. In my apartment, I finally find myself feeling safe enough to sleep – not worried at any moment another bushfire will spark from the still smouldering Eucalypts in the front of our farmhouse. I am exhausted from weeks of being on fire watch, staying awake until 4 a.m. during 60km winds to watch for trees flaring into fire again as they did on Boxing Day. I am dazed, overwhelmed and a sleep-deprived nervous wreck. The suburb of Glenelg is rarely a place I envisage spending much time. Now, it is my refuge. I am partially surrounded by soothing ocean. A bustling jetty road with shops open seven days a week; oodles of cafes and restaurants; two supermarkets and an almost circus-like atmosphere along the foreshore with children’s activities and thousands of daily visitors mean I don’t feel strange or alone in a big city. I have every convenience which helps me out having hastily packed to leave the farm and forgetting important items like a toothbrush and my favourite coconut oil. I notice loads of country people take advantage of this beachside residence to enjoy time away from isolated townships or labor-intensive farm work. For country folk, the big city offers a place to get a whole load of things done – whether work meetings, medical, shopping or visiting. The constant ocean breeze clears my lungs and sinuses of smoke and allows my mind to recover from weeks of panic. I use every convenience from the in-room washer and dryer to the full-size modern kitchenette to normalize myself. After just a fortnight I feel more at ease. Being in the city means I can easily access massage, acupuncture, yoga and meditation classes – all would have required a four-hour round trip had I stayed on the farm. I catch up with friends along the Marina pier. I take the tram into the Adelaide CBD (city center) to meet up with former work colleagues. I can even go on a late-night munchie-run. 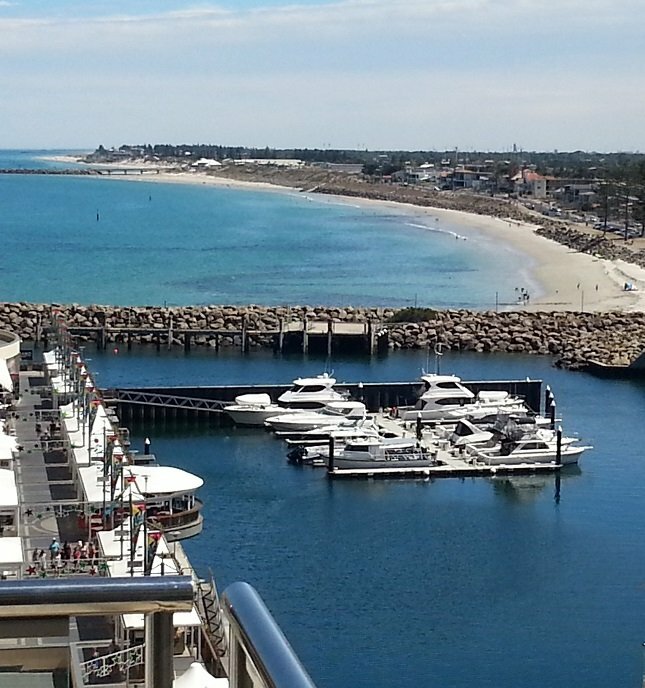 I drive past my favorite coastal suburbs of Grange and Henley Beach and notice the popularity of Henley Square with its updated cafes, popular stores, delicious new eateries and hundreds of locals and visitors enjoying the atmosphere. 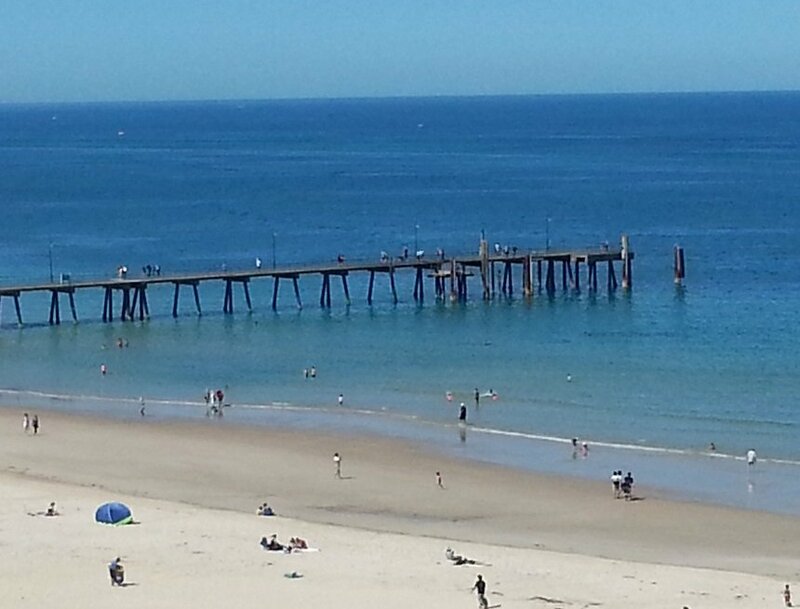 I drive past the West Beach upmarket caravan park and cabin resorts seeing they are bursting full with people from all over the state of South Australia enjoying the relief of the beach in our record-breaking summer heatwaves. And while staying in the city seems like the antithesis of what a sanctuary should be, I have found a place that feels completely comfortable and safe compared to the dangerous weather conditions and constant fire risk of being on the farm this summer. I wonder at all the people enjoying the beach – playing, swimming, fishing. It is absolutely lovely to be around people indulging every moment, eating ice-cream late into the night and feeling secure in a sanctuary of our own choosing, even in a busy city. A sanctuary is after all a safe haven – whatever that means to each of us at any time of our lives. 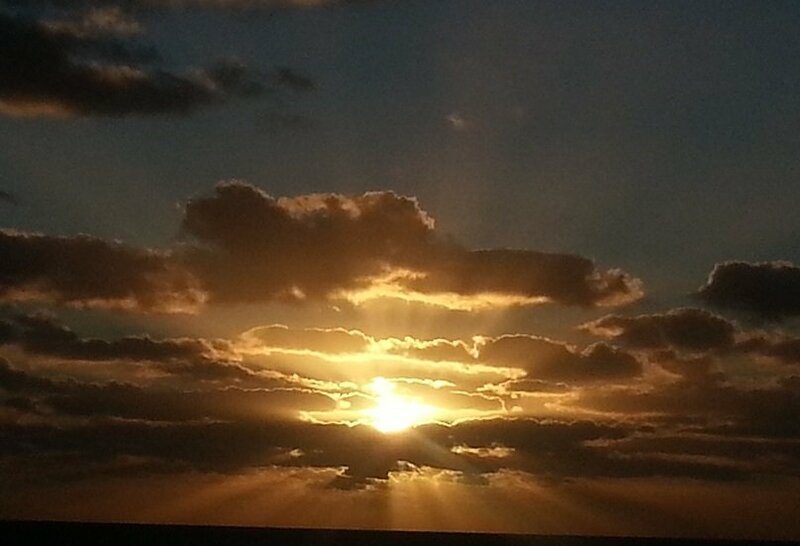 I photograph a stunning sunset. I could be anywhere – a tropical island, a private resort, a holiday hideaway. But I am in the Australian urban suburb of Glenelg. Right in the heart of the city of Adelaide I still receive nature’s promise of a new day to come. 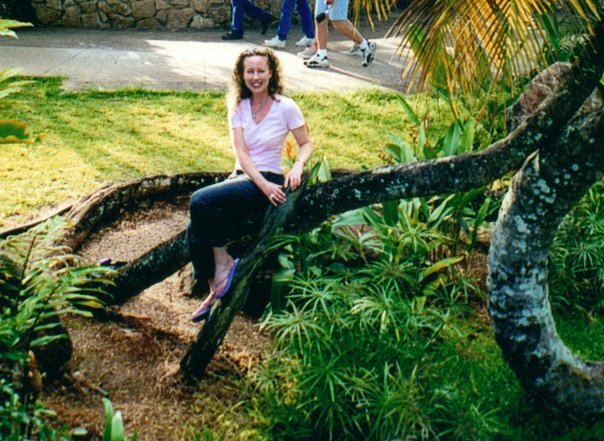 Renata Provenzano is a travel journalist of 25+ years, teacher of journalism and author of bestselling books the Hawaiian A Little Book of Aloha series (read more about them here). Renata has lived an unusual life and walked a new path for spiritual journalism ~ weaving as much spirit into all of her writing whether it is about health, well-being, travel, the environment, beauty, humanity or our Earth; and hopes readers will join her in discussing what matters most to modern seekers, wanderers, bohemians, gypsies, soul travelers and open-minded Earthlings who love the nature of energy and spirit. She currently blogs for WellBeing magazine in Australia under the theme of Spirit Sorbet: http://www.wellbeing.com.au/blog/author/renee-bes/ . Durga - very beautiful pictures. I admire your strength :). Bekah Wright - Thanks, Steph! Bekah Wright - Thanks for you comment, Janet! I'll pass it along to Renata. And if you ever have a story you'd like to share on the site, it would be most welcome! Bekah Wright - I want to visit Renata, too! Maybe we should form a group and head that way... Oh, and if you ever have any travel stories you'd like to share on the site, please do! Bekah Wright - I think Renata captured her native country in a way all her own. Glad you liked the story. Would love to have you share some of yours on the site, too! Bekah Wright - Thanks for the comment, Bob. Renata will be thrilled to read it. Will give her a heads up. And if you ever have a travel story you'd like to share on the site, please let me know. I'll pass your wonderful comment along to Renata. Thank you! Bekah Wright - So glad you like the article, Juan! Renata is a very talented writer. In fact, that's one thing about Change Your Life Travels that I love -- sharing the voices and perspectives of other travelers. Feel free to share your stories, too! Stephanie - Great post! I am a fan for life!! Parul Agrawal - I love your positive attitude and how you made the best of an adverse situation. Very Inspiring!!! Bob McInnis - Love the images and how you wove the post and your heart to the heart of a suburb. Thanks. Karen Langston - Thanks for sharing your story. WOW Australia is on my list of places to go and now after seeing these beautiful pictures I cant wait. Terry Green - Beautiful photos ... I'd love to visit Australia. Maybe someday. Janet Vasil - Beautifully written post and it looks like a lovely peaceful place for relief and renewal. .